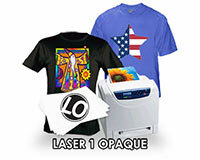 BESTBLANKS.com is premier wholesaler of heat press machines, sublimation solutions and supplies, heat transfer vinyl digital printing solutions, vinyl cutters, sign making equipment and supplies, engraving machines, embroidery machines, screen printing systems and other decorating solutions. BESTBLANKS has a wealth of knowledge that can help you in many ways. With more than 60 years of combined experience in digital imaging, sublimation, heat transfer printing, sign making, silk screening, and other decorating techniques, BESTBLANKS has hands on experience using these products. This translates into saving you time and money. Our staff is highly trained to provide you with the best possible information in-order for you to make informed buying decisions. We are absolutely obsessed with providing the highest level of service because we understand the more successful you are the better we look. Let Us Prove It - Click, Call or Come in Today! "The best customer services I've ever talk to"
"Great company have ordered from them for many years, always top notch." 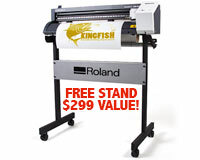 Outstanding product, I have always used Roland and will continue to use there products for years to come. "I'm never going anywhere else, they are the best!" "As always, I order quickly and everything goes smoothly when ordering"
"this site is awesome my orders are always on time, no hazzels." "Great selection. Returning customer. Very pleased!" "I've ordered from you before when I lived in Montgomery Alabama and was always pleased with speed of delivery and the quality of the products." "Prices are awesome. Quality of paper is great. Thanks." "It was great, the prices are great"
"Always responsive and fast shipping! Great products!" "We have always ordered from Best Blanks and have never had any problems. Will continue to order from them." "Exceptional customer service! Great Products!" "Shopping was good. I can tell you more after I have received the product. Really amazed that I got a tracking number the same day I placed the order and I got the order a few days later. The price was great, the quality was great, and the customer service (shipping) was exceptional! In short, I'm very happy and will definitely recommend you." "Quick shipping and great products. Definitely will be ordering again. " "Long time Customer for my small business, will shop no where else!" "Very fast and efficient. I was highly satisfied and will recommand and continue to use best blanks." "Best Blanks is the best"
"Prompt shipping and good quality at a fair price. I will order again." "I LOVE THE HEAT TRANSFER PAPER. GREAT PRICE!!!!!"